Netflix announced in November that it has selected debutant director Anand Tiwari's romantic comedy Love Per Sqaure Foot as its first streaming service-only release. 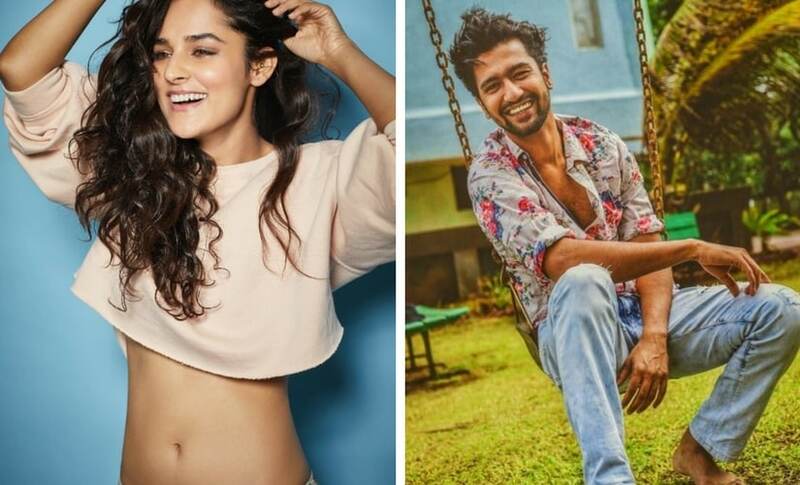 Co-produced by Ronnie Screwvala's new banner RSVP Films, and Tiwari and Amritpal Bindra's Still And Still Moving Pictures, Love Per Square Foot stars Vicky Kaushal and Angira Dhar. Firstpost caught up with Anand and Amrit for a chat months before they see their first feature film become the first Netflix-only release of India. Love Per Square Foot was originally announced as a theatrical release. Why was the decision taken to release it only on Netflix? Anand: It was taken to Netflix only as a pre-sale digital kind of conversation at that time. It was actually credit to Netflix that they came back and said that they have been doing a lot of interesting stuff as originals across the globe. They have been, for a while, wanting to figure out what would be their first Netflix original release here. They were the ones that initiated this conversation. It is a fantastic news. Suddenly, your films becomes the one that will release in 190 odd countries. Did Netflix give any reason for choosing this particular film as their first original in India? Amrit: Yes, they did. Even we were initially very surprised as Netflix has access to the absolute upper echelons of the movie industry. One would put that it would be easy for them to land an event film as their first. 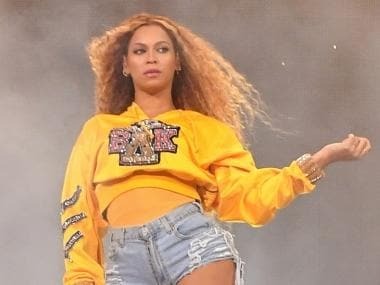 But they were clear that they wanted to target the young adult audience, do something very contemporary, relatable and high quality content that would be accessible to a large audience. They thought that Love Per Square Foot would fit that entire definition of what they wanted to do. Even they want to do clutter breaking content from their point of view in India and this would be a great start for them on the movie front. Going by how cinema has fared in India this past year, small films like Hindi Medium and Newton have actually done very well at the box office. Do you think that you would miss out on such a chance since you have chosen to release it only on Netflix? Amrit: The way we look at it is very different. This is a unique opportunity that came to us. Immaterial of whether it will work if released in theatres (which to an extent will never be known), the fact remains is that it will be the first Netflix India original film and that can never be taken away from us. Anand: In fact, when the announcement was made, it was carried in publications like The Hollywood Reporter and Variety. A film of this style and scale would never be discussed otherwise. The discourse around Hindi films, that too with the biggest of stars, is limited only to the diaspora. For a film like this to get so much coverage is amazing. You have already created a niche for yourself with web shows like Bang Baaja Baaraat. Did your confidence of releasing your first feature film digitally stem from the success of those shows? Amrit: This is a different ballgame, a different beast that we're dealing with. Yes, it helps to have some amount of experience in the digital space. But this is an equally brand new experience for us. We are going to have critics review the film, have a theatrical trailer attached to cinema halls. Netflix is clear it wants to promote the film if not in a bigger way than at least at par with what a Hindi film release would be. We are as nervous or as confident as we would be in case of a theatrical release. Anand: Even when we made Bang Baaja Baarat, some people had concerns that it was not fit for the digital space then. The internet was, at that time, dominated by male-driven content about engineers, IT professionals. No web series had not been shot outside a room before that. But we were pleasantly surprised to see Bang Baaja Baaraat work. People from all across target audiences. Similarly, Love Per Sqaure Foot has only a new medium whereas it will be positioned as a big Hindi film release. Now when you discover that the film will release digitally and not in theatres, do you feel like going back to it and attuning it as per the new medium? Anand: It is a little presumptuous to say that the audience is different across platforms. If you take a Virar fast local train, everyone is watching the first half of a film online from Churchgate to Virar and then the second half from Virar to Churchgate. Every person, irrespective of the background, is on the platform thanks to cheaper internet packages. Amrit: And the basic principles of content are the same. When we say target audience is the young adult, then it includes both the young adult who is watching it in PVR Andheri and who is watching it in a local train. It is just the medium that is different. Will Smith, when he was in India earlier this week, said he chose to release Bright on Netflix because he wanted the universal theme of racial discrimination to reach as many countries. Does your film also have a similar universal thought at its heart? It comments on the youth across the globe where love has become a transaction. With social media, the way we look at romance is different. It follows the story of two young adults who enter into a marriage of convenience to buy a flat before love becomes an afterthought and creates complications. That is why it is called 'Love Per Sqaure Foot'. So this film deals with the paradox of romance in its conventional and contemporary contexts. Finally, how was it working with the ensemble cast that this film boasts of? Well, you will see Vicky (Kaushal) like you have never seen before. He does not play the earnest do-gooder of Masaan. He is a crafty Mumbai sadak ka chhora (street guy). And he has got everything, including the humour, right. We've worked with Angira (Dhar) in Bang Baaja Baaraat. To see her rise to this level and match up with Ratna Pathak Shah, who plays her mother in the film, is wonderful. Also, Supriya Pathak Kapoor plays Vicky's mother. So it is the first time the two sisters (Ratna and Surpiya) have shared the screen space in a film (They have shared the screen space in a combined episode of Khichdi and Sarabhai Vs Sarabhai on TV). They were a riot on set. And I must share this, Surpiya bullies Ratna quite a lot. But to see veteran actors like these be so open to learning (and unlearning) is such a reassurance of your talent and the faith they have in your capabilities.